Yang Song was trained as a sculptor in both Western and Eastern traditions, which continue to influence his practice today. Yang’s sculptures often follow traditional methods, evoking ancient Buddhist status and the terracotta warriors of Xi’an yet leaving them unfired so they would crack and eventually crumble to dust. 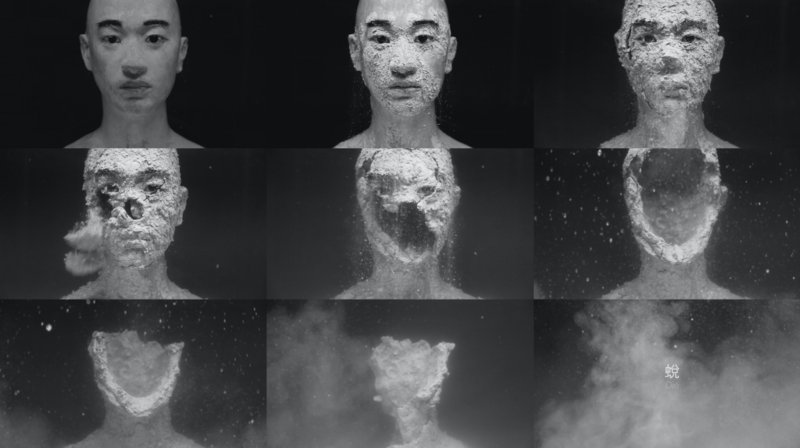 Similarly, Yang Song conceptually treats his videos and drawings as sculptures, specifically in their presentations. For him, a sense of permanence is intrinsic to sculpture beyond the sole materials that may span centuries. Yet, for the artist, inflexibility is not what gives sculptures a sense of eternity, but rather its fragility and transience inherent to our eternity and human condition.